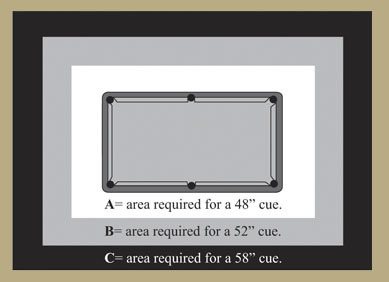 The Stallion pool table offers a budget-friendly price. An excellent addition to any home billiard room, the Stallion combines handcrafted design with professional level play-ability. 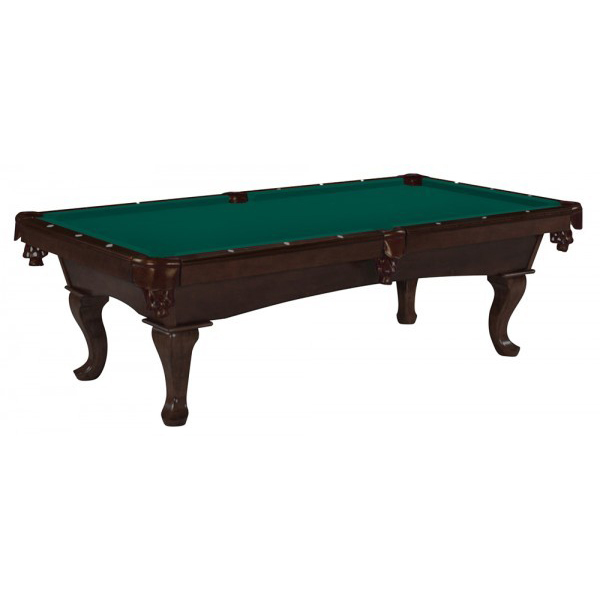 It’s solid wood construction, quality faux leather pockets and pearl sites ensure that this high-quality billiard table will bring you many decades of enjoyment. 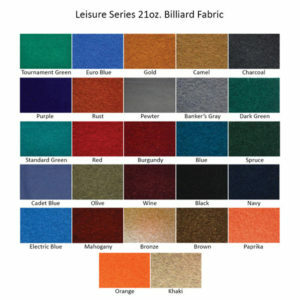 - BILLIARD TABLES (Stallion Pool Table) Carry a LIMITED LIFETIME WARRANTY from the date of original purchase by the consumer. Heritage, using its sole discretion, will either repair or replace the part(s) proven to be defective as established per the following: 1. Table cabinet, rails, blinds, legs, and internal support system: FIVE (5) YEAR WARRANTY from splitting or cracking. 2. Exact Shot™ Cushions: LIFETIME WARRANTY against separation, dry rot, or hardening. 3. Heritage Slate: LIFETIME WARRANTY from chipping, cracking, or warping. (Only if any portion of the playing field is affected.) 4. Hardware: FIVE (5) YEAR WARRANTY on all hardware and metal parts. 5. 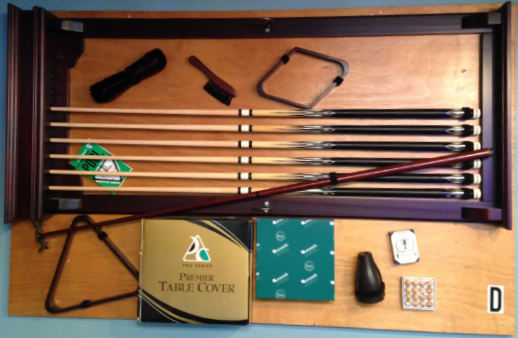 Cloth, pockets, and accessories: Heritage’s warranty does not cover the repair or replacement of the billiard table's cloth, pockets, or accessories. Heritage Warranty Limitations This Limited Warranty does not cover the following: Any failure caused by or resulting from abuse, neglect or accident; improper use, modification, service, maintenance or repair; or normal wear and tear. 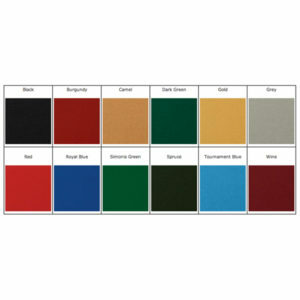 Cabinet exterior and decorative finishes, including scratches, scrapes, and nicks in surfaces. Installation or labor cost, in any form, incurred in any manner. Only part repairs or replacements are provided. Damages incurred in shipping, unpacking, set-up, and installation. Commercial or industrial users. Tables located outside the United States and Canada. 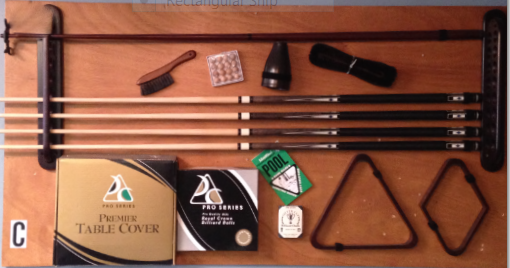 *The Shuffleboard playfield limitations are applied to: cracking, chipping or fogging in the playfield coating. Heritage will provide parts necessary to repair or replace any of the above parts outlined in this warranty to the following: Heritage Authorized Dealers, Heritage Certified Installers or the original owner of Heritage Game Furniture Product(s). Parts determined in Heritage’s sole reasonable judgment to be defective due to manufacturer's workmanship or materials only. All Claims must be emailed to warranty@legacybilliards.com and accompanied by sufficient digital photo documentation along with a brief explanation of the issue. Our Warranty Department will review your claim and respond promptly. If a claim is deemed valid, we will replace or repair, at our discretion, any or all of the components involved in the claim. In some cases Heritage has the right to request a copy of the original bill of sale to the original owner to help determine claim viability. Any declared defective part(s) should be returned, (freight prepaid by owner) via a Heritage approved carrier to Exact Commerce. If the part is determined to be defective by the digital photos submitted or visual inspection, the cost of shipping will be reimbursed. Heritage will afford the replacement shipping cost back to the customer. If the claim occurs more than six (6) months after the original date of purchase, shipping costs both ways will be the sole responsibility of the owner. Heritage Game Furniture warranty represents the complete understanding between the original owner and Heritage of the warranty coverage for your product(s). Heritage Game Furniture makes no other guarantees, express or implied, other than those established within this document. Heritage Game Furniture does not authorize any person or entity to assume additional liabilities or obligations in connection with your product(s). This Warranty gives you specific legal rights. You may also have other legal rights that may vary from state to state. THIS WARRANTY BECOMES EFFECTIVE UPON HERITAGE GAME FURNITURE RECEIPT OF THE COMPLETED WARRANTY REGISTRATION CARD FROM THE ORIGINAL OWNER. ALL WARRANTY CARDS AND CONTACT INFORMATION IS KEPT ON FILE FOR VERIFICATION PURPOSES. FAILURE TO RETURN OR REGISTER YOUR WARRANTY REGISTRATION CARD WITHIN 30 DAYS FROM THE DATE OF PURCHASE SHALL RESULT IN THIS WARRANTY AS BEING CONSIDERED NULL AND VOID. YOU CAN MAIL IN YOUR WARRANTY CARD OR REGISTER ONLINE REGISTER ONLINE.